Air Force Gen. Paul Selva, vice chairman of the Joint Chiefs of Staff, talks about the importance of enlisted aides during the USO Metro’s 21st Annual Salute to Military Chefs and Enlisted Aides in Arlington, Va.
U.S. Department of Defense issued the following announcement on Nov. 16. 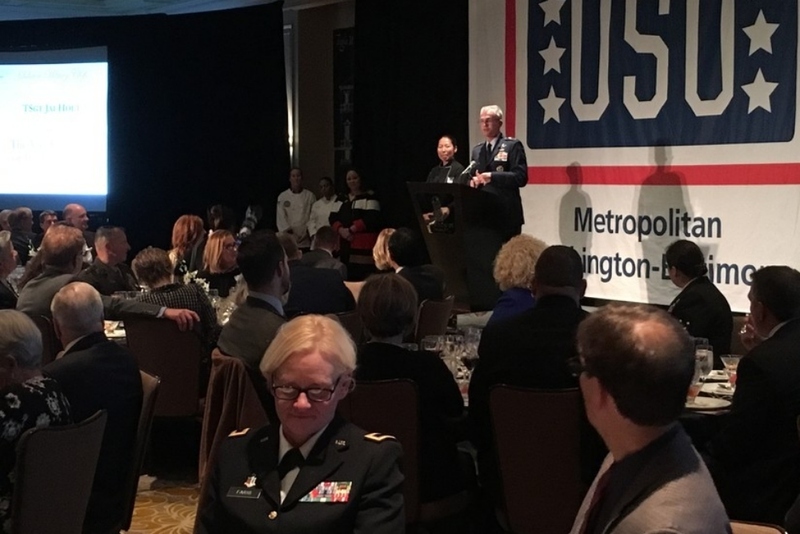 But leaders from around the Defense Department put a spotlight on them at the USO of Metropolitan Washington-Baltimore 21st Annual Salute to Military Chefs and Enlisted Aides here. Another very important duty, he said, is ensuring the flag officer’s uniform is squared away and all the awards and decorations are where they're supposed to be. "Their appearance is a reflection on us," Susa said.